For most people, breathing is automatic – the air goes in, the air goes out, and we don’t even think about it. But for those who have airway problems, it is never that simple – especially for children. Sleep apnea occurs when the airway becomes blocked during sleep, causing a pause in breathing. Those pauses in breathing, known as apneic events, often lead to a diagnosis of obstructive sleep apnea, Dr. Frost says. Snoring. Snoring is caused by the vibrations of excess tissue blocking the airway. 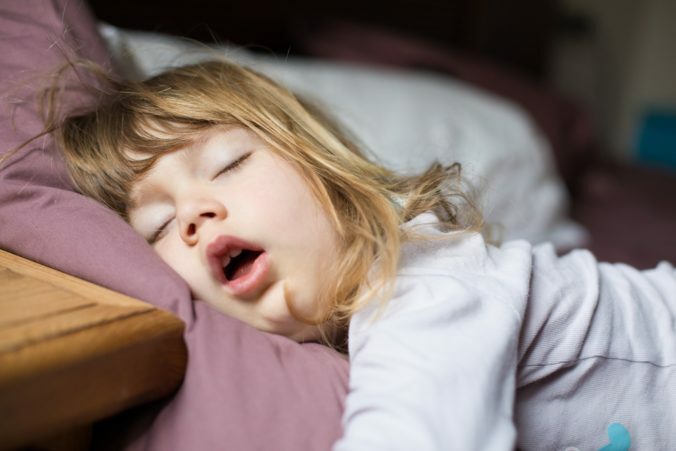 When children snore, orthodontists look for a blockage of their airway, from the tip of the nose down to the throat. Clenching or grinding teeth. “If children who are 7 or 8 have baby teeth that are worn from grinding, we know it’s because they’re not getting enough air,” Dr. Frost says. During sleep – and sometimes even when they are awake – their lower jaw is constantly repositioning either side to side or forward to back to open their airway so they can breathe, he says. An expander appliance can widen the nasal passages to help the child take in more air when breathing through the nose. Bedwetting: A brain that is starving for oxygen can’t wake a child when the urge to go to the bathroom strikes during sleep. The child will sleep right through any warning sign the brain sends. Depending on what’s found during an examination, the solutions for a restricted airway could include braces with an expander appliance, along with surgical removal of adenoids or tonsils. When Should I Hire a Tax Pro?